(New Gloucester) – OTELCO has collaborated with MivaTek to bring affordable, easy to use and install, smart home products to its customers in rural areas of Maine, Massachusetts, Vermont and West Virginia. The “Over-The-Top” application is any app or service that provides product over the internet. Employing the Internet, smartphone technology, and the MivaTek secure cloud hosted platform, OTELCO brings three state of the art home automation modules to the market. With a smart device in one’s hand and an Internet connection at home, subscribers can control all the devices, receive instant alerts when a sensor is activated, and assign others to receive notices and alerts. The three modules are designed to give the consumer a piece of mind knowing that they will be alerted if someone breaks into their home or camp, if a loved one needs help and that help will be on the way should the system detect fire or carbon monoxide. The Security Module includes high-definition cameras, window and door sensors, a motion detector, a siren, and a remote control key fob – this allows for activation and deactivation from the driveway. This new system will alert a homeowner if someone is on their property. People with camps or second homes will find this a helpful feature. With an aging population, people face many issues, not least of which is keeping elderly parents in their homes. The Care Module is designed to help with that very issue and to help with independent living for the disabled. A Safety Module add-on includes smart plug technology and water and smoke / carbon sensor capabilities. The sensors, cameras, and trackers in each module send instant alerts to designated smart devices when any event occurs to trigger one. According to Tisdale, OTELCO is looking to deliver additional over-the-top services to its customers. The company currently is offering Internet TV to its Shoreham VT customers and exploring similar offerings for its other service areas in Maine, Massachusetts, and West Virginia. Home automation is growing according to a study by the technology research firm, Forrester Technology Inc. Their recent report states that one in five adult American internet users already has a device that connects their physical home to the internet and that number will continue to grow as more options become available including controlling home heating and improved security. MivaTek delivers home awareness and smart protection through its smart living platform. MivaTek solutions include sensor-initiated video recording, cloud and local storage options, notifications to multiple tiers of recipients, and can be used in multiple locations all accessible under one single mobile app. 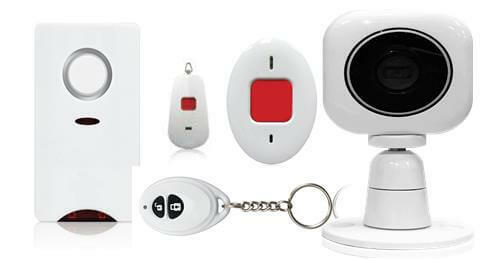 For MivaTek’s comprehensive and affordable video alarm, awareness and assurance solutions and services, please www.mivatek.com.